Do you feel that? The weather is getting colder, and we all know what that means: the holiday season is here. With Thanksgiving, Christmas, Hanukkah, and the New Year fast approaching, you are likely to have more than a few visitors to your home in the next few months. 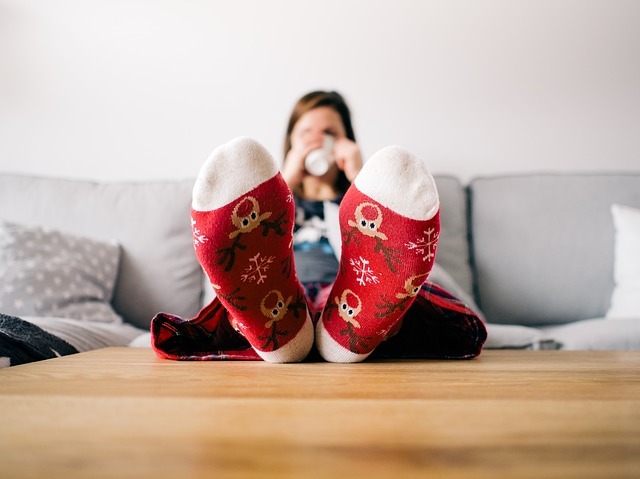 You’ll want your household to be cozy during these cold winter months, and for many of us that means turning up the thermostat. But heating your house can mean a huge increase on your monthly electric bill, so how can you keep warm all winter without breaking your budget? Believe it or not, you can keep your house warm and comfortable – even in the dead of winter – without using more electricity than you normally do. One of the easiest ways to do this is simply opening your windows! During the day, make sure your blinds or curtains are open on the sunny side of your house. As sunlight streams into the room, it will bring along the sun’s natural warmth, too. This warmth will linger in the room well past sundown, providing your family with a natural, energy-saving way to keep cozy all winter long. Just make sure you shut the windows themselves – that way no heat can escape! Have you ever noticed that small switch on the motor of your ceiling fan? If you flip it, you’ll actually change the direction of the blades – a seemingly small feat, but it will be your best friend in the winter! When a fan spins in the reverse direction, it actually pulls all that warm air from the ceiling (if you remember from science class, warm air rises), and pushes it down towards your family and guests below. This won’t use any more energy than you did cooling the house in the summer, but it will keep everyone warm and happy during fall and winter.